1.2 Where to plant daffodils? 1.5 When to plant daffodils? 1.6 How to plant daffodils? 1.7 When do daffodils bloom? 1.8 How to preserve daffodils bulbs? Daffodils (Narcissus spp) are bulbous plant of the Amaryllidaceae family. They are hybrid plant native from Holland. They bloom in late winter to spring, giving trumpet shaped flowers. Daffodils are used in gardening for ornamental purposes because of its attractive and colorful flowers. Numerous species and varieties are grown. They are typical cool-season plants that can be grown in pots, planters and for landscaping. All plants flowering in this season requite similar care, so we can combine them in our garden: tulip, hyacinth, iris, crocus (saffron), or Nazareth. After flowering, daffodil plants are left until the leaves are dry, to allow time for the bulb to thicken. After this, daffodil bulbs are dug up and stored for next year. Place in a cool semi – shaded site, in sunny location or in full sun. 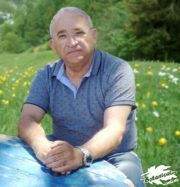 The greatest enemy of daffodils, in the same way than tulips, is the wind, so that these plants should be located in a place sheltered from strong winds. 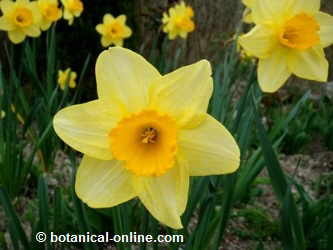 Daffodils need moderate watering, especially before flowering. The petals should not get wet. Water at least every two weeks. It is important to provide them a very good soil drainage. Avoid puddles of water. You should not space irrigation too much , as they always need some moisture. They require a loose, rich in organic matter, and well drained soil. Plant them in early autumn. Dried flowers should be cut so as not to attract pests. 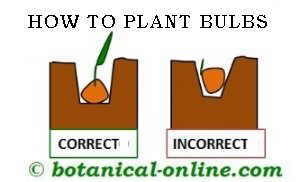 Fertilize after flowering for the bulb to absorb nutrients, which need to bloom the following year. Plant them in pots, flower beds, planters, etc.. They grow best in shallow, wide pots. When the bulb shows roots and touches the bottom of the pot, shootsprings appear. When multiple bulbs are planted in the same pot, leave at least 20 cm. between plants. Flowers appear in winter to spring. A daffodil flower flower typically lasts 15 to 20 days. How to preserve daffodils bulbs? After flowering, when the leaves and stems dry, the bulbs are saved for next year. The bulb must be kept dry in a paper bag, protected from sunlight, heat and frost. Spontaneous or natural hybrids daffodils.